Buy Power Health D-Mannose Tablets - 30's in the UK from our online shop or directly from our independent Scottish store. Suitable for Vegetarians and Vegans. Sometimes known as waterfall d-mannose. We sell real Power Health and other Other Herbal Remedies directly from our shop in Scotland and online throughout the UK. View more products from Power Health. Where can you buy real D-Mannose Tablets 30 tablets safely online? If you are wondering where you can buy Power Health D-Mannose Tablets - 30's safely online in the UK, then shop with us. 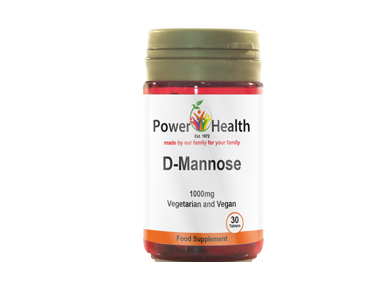 D-Mannose Tablets 30 tablets - Power Health D-Mannose Tablets - 30's in Other Herbal Remedies and Herbal Remedies, Tinctures & Supplements.